"You don't realize how big somebody was in your life, until you measure the space of their absence" (Rozelle, 24). 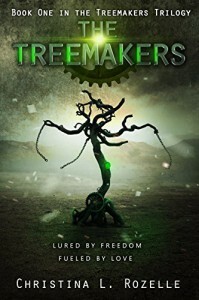 The Treemakers is a post-apocalyptic novel about a group of children living in an underground bunker, forced to make titanzium trees that create oxygen for Bygonne, and the Superiors that control them. The story opens up with a description of these horrors, and one of the most amazing lines to start a novel I have ever read: "Last week, Pedro looked out the window one second too long and lost his left hand to the chopper". If by some miracle I wasn't convinced about reading this by the synopsis, I sure as hell was one sentence into chapter one. The way Rozelle starts up her story is magnificent and genius. The story was quite interesting. A post-apocalyptic world in which the remaining children of Greenleigh's Tree Factory are forced to build trees for oxygen? Not only is the premise great, the plot was even better. Without giving too much away, the children manage to escape and go on a grand adventure - keeping my interest throughout the whole novel. Not once did I get bored with the story, or the characters. The main character, Joy Montgomery, or 'Momma Joy' as the children like to call her, is everything you would expect from the oldest child of the group. She accepted her natural motherly instincts and always took what her parents had taught her into account, taking care as much as possible the children of the Tree Factory, even going so far as to tell them bedtime stories to make them feel somewhat normal. She is the perfect example of how brightly a diamond in the rough can truly shine. Other characters in the story worked so well with each other. Joy and Jax, Miguel and Aby, Johnny and Smudge, they all make sense and interacted smoothly with each other. Nothing felt forced. The theme of this story: things get worse before they get better. Rozelle puts these characters through many obstacles and hardships before finally delivering them to the happiness they deserve. The lesson to be taken from this is no matter how crummy your life is right now, you have the choice to take it into your own hands and make something better for yourself. I find this message truly inspirational, just like Momma Joy's stories. The story flow was great. I found that there was a lot of story, but it was spaced out and paced perfectly, as to not seem too cluttered, or like there was too much going on. Everything had its moment, and Rozelle did an excellent job of making her story go smoothly. I liked that the story wasn't too predictable. There were many instances of surprises that really keep you enthralled and prevent you from getting bored. Overall, I truly loved this novel. It brought post-apocalyptic horror and adventure together to create a mesmerizing story of adventure, heartache, and triumph. 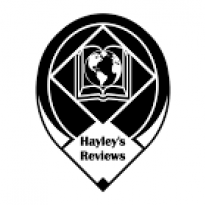 With a massive bomb dropped at the end of the novel, I of course look forward to reading and sharing my thoughts on the second book in the series, The Soultakers. I give this book 5 out of 5 stars.